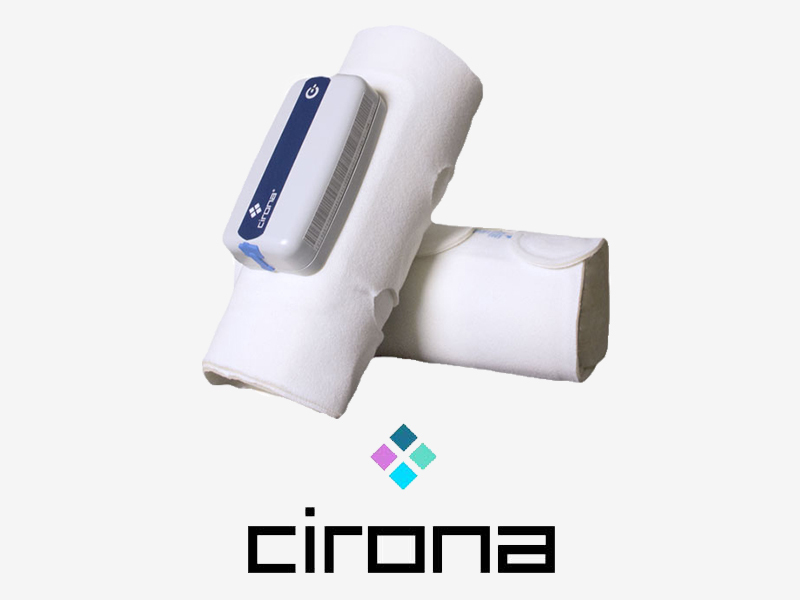 The Cirona® DVT Prevention Therapy System is used to increase venous blood flow in patients who are at risk of developing deep vein thrombosis (DVT). The devices mimic the body’s natural walking functionality, and helps reduce the incidence of DVT. 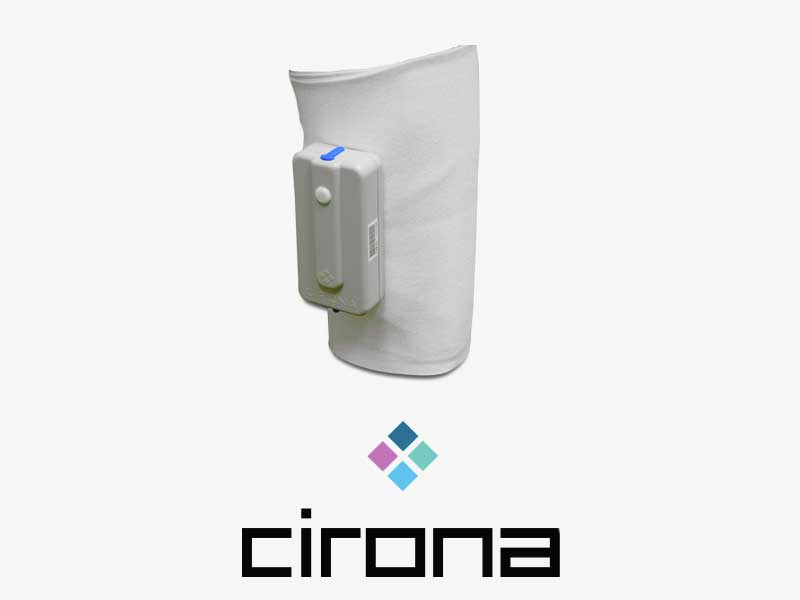 The Cirona® devices generate air compression which inflates the garments that wrap around the calf, thigh, and foot during a 60-second automatically timed cycle. DVT is a condition in which a blood clot, a thickening and clumping together of blood due to poor circulation, forms in a vein deep inside a muscle in the body. Many people can be at risk for DVT, including those that have recently been pregnant, undergone surgery lasting over four hours, or those that may be overweight. Another major risk factor for deep vein thrombosis is inactivity for long periods of time. When a person is active, the blood in their veins is able to circulate much quicker and return faster to the heart compared to when they are inactive, or sedentary. This type of prolonged inactivity is most notable with air travel or long drives. Reliable: Effective therapy for post-operative patients that helps prevent dangerous blood clots before they have a chance to form. Simple: Easy to operate in various patient care settings. Convenient: Long lasting batteries, unilateral and bilateral treatment, and easy application and removal for a comfortable DVT preventative therapy option. Does the 6100 pump operate only when plugged in? Yes. The pump works only when it is plugged into a safe and grounded outlet. The 6200 and 6300 both can operate off of battery power. What is the difference between Lymphedema compression and vascular compression? Lymphedema compression is characterized by a slow inflation/deflation cycle, designed to pull the lymphatic fluid out of the tissue of the arm or leg and into the circulatory system. Vascular compression is to prevent deep vein thrombosis and is characterized by a rapid inflation/deflation cycle which forces the blood up through the deep veins of the legs, supporting circulation to prevent the formation of a clot. Can the sleeves be worn in direct contact with patients’ skin? Yes. The sleeves can be worn against the skin. If contact dermatitis occurs, place a thin piece of gauze between the skin and the cuff, or place the cuff over a pant leg. Is the sleeves pressure customizable? No. For the 6100 and the 6200, the pressure is preset for patients’ convenience at 40mmHg. For the 6300, the pressure is preset to 50mmHg. No. The sleeve garments are intended for single patient use. How many garment wraps come in one purchase package? One pair (2 garments) comes in each package. What if the garment wraps do not fit? Our calf garments come in three different sizes ranging from 20” up to 32”. The calf-thigh garments come in 4 different sizes ranging from 22” up to 42”, and our foot garments come in two sizes from 13” up to 16”. All garments use self-adjustable fastener strips for a more custom fit. Our first DVT prevention device that creates a powerful effective compression therapy which may increase venous blood flow and help prevent the onset of DVT. With a detachable power cord, the 6200 provides a convenient solution for hospitals in their post-surgical DVT preventative care. Fully portable DVT prevention therapy device with a rechargeable battery lasting up to 8 hours and simple one button operation. 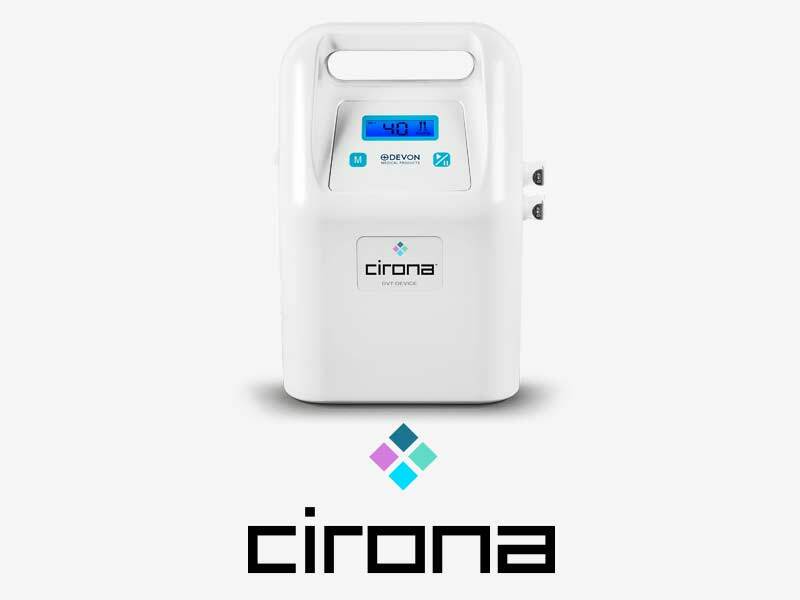 Fully portable DVT prevention therapy device with a rechargeable battery lasting up to 24 hours and simple one button operation.